It’s taken years but I’ve finally remembered not to book any work trips over Wimbledon fortnight. No more standing in a cellar in some miles-away part of Spain trying to get reception to check on the scores. No more dashing round a hot airport on a Sunday searching for a telly. Yes, in the last two weeks I might have spent quite a lot of time ‘working on my laptop’ with tennis commentary spooling in the background. Also the big outdoor screen in Hammersmith showing all the tennis matches has been quite tempting. It has rows of low-slung canvas deck chairs parked right in front of it. So easy to get into. So hard to get out of. I love the eye-feast of the colours, the ripples of amusement from the crowd, David Beckham’s scrunchy-eyed wave after he catches a mis-hit ball, the drama of Hawk Eye, the marathon of the matches that go to five sets, the nerve, the mettle, the whole darn thing. No wonder brands are queuing up to be associated with the tournament. I am such a sucker for this sort of thing that I have actually caught myself reaching for the evian in the supermarket, clearly subliminally believing that if I drink enough of it, I might actually become co-ordinated enough to make a connection between racket and ball rather than ducking and running (away) if it’s hit anywhere near me. I think some readers may have forgotten that Jacob’s Creek make rather good wine (the whites are the ones to go for – especially the riesling, also the chardonnay) and so I have a mixed case of six bottles* to give away** to one reader. For a chance to win, just leave a comment on this post by midnight on Sunday (Men’s Final Day). A winner will be selected at random and notified by the end of the week. Update: And the winner is….Martin McElroy. Martin, I’m emailing you. * We’re not quite sure what. There will be riesling because I love that. There will also be shiraz rosé because that’s what Jacob’s Creek reckon is the best match with strawberries and cream. ** terms and conditions apply: entrants must be aged 18 or over and live in the UK. The judge’s (that’s mine) decision is final. Goodness, I haven’t had any Jacob’s Creek for years! If you say so it must be worth another look. Ah yes, that reminds me, we used to drink Jacob’s Creek all the time a few years back – usually the reds though – must say I’ve never tried the whites, maybe now is the time! Have I won Victoria??? It’s also interesting that Hardys Wine are sponsoring the England Cricket team during the Ashes (although in fairness I should point out that they are also sponsoring Cricket Australia as well). A lovely Reisling would help the wound of the Murray loss today! Love Jacobs creek Riesling settling my nerves… It’s a champion! A Riesling sounds just the thing! Nothing wrong with a good bottle of JC. First encountered Jacobs Creek about 25 years ago in Norway, when our Australian client insisted on buying some to demonstrate the quality of their Australian wine, it cost them 280 Kr (£28) a bottle!! Victoria you are so right, it’s easy to forget the big brands when shopping for the favourite tipple. It’s time to retry JC while we enjoy the final without any partisan stress! If I grunt loudly enough but promise not to swear, will you send it to me…??? Between Wimbledon and the Ashes (Hardys) ads I feel like I should drink some big brand Aussie wine again! Great article. Nothing like a glass of rosé when watching the tennis! Strawberries and cream at the ready! Always fun to read your blog especially when it is about my favourite things – wine and tennis! My chap has just returned from France having done three stages of the Tour de France for charity called the Tour de Force and he was sore and tired but happy with bottles of wine from the region! Well trained! Went well with the Murray match…fingers crossed for a better out come in the giveaway draw! Another great article Victoria – keep it up. Yes, here’s to England 1-0 in the Ashes, and I think it will be Novak on sunday. That dress is spot on Victoria, not sure Riesling goes with the radishes, but will give it a try. Hi Victoria, please put me into the hat for the free mixed case. Can I recommend to your followers (and you) “Bioletti’s Block” Californian wines? Every week when I order my Ocado I get a few bottles that are reduced to £5.99 but at the moment you can get 4 for £20. It is all beautiful stuff and the best wine I’ve tasted for a fiver. Had a lovely Zinfandel last night and even the Pinot Grigio is lush! Anyone with large BBQ’s or weddings coming up give it a try. Great article. Haven’t had Jacob’s Creek in a while, I’ll have to give the Riesling and Chardonnay a go, it’s certainly the weather for it! Wimbledon, when Murray is playing, is so stressful in our household. My wife loves him but can’t bear to watch him fearing he will lose. I’ll have to suggest she tries some Jacobs Creek chardonnay as a relaxant. Purely medicinal you understand. Interested to hear that you rate the JC riesling as I’ve been a fan of the reserve Chardonnay for a while – agree that many would be surprised at the resurgence in quality. I shall do what i can to find a bottle this weekend to taste. 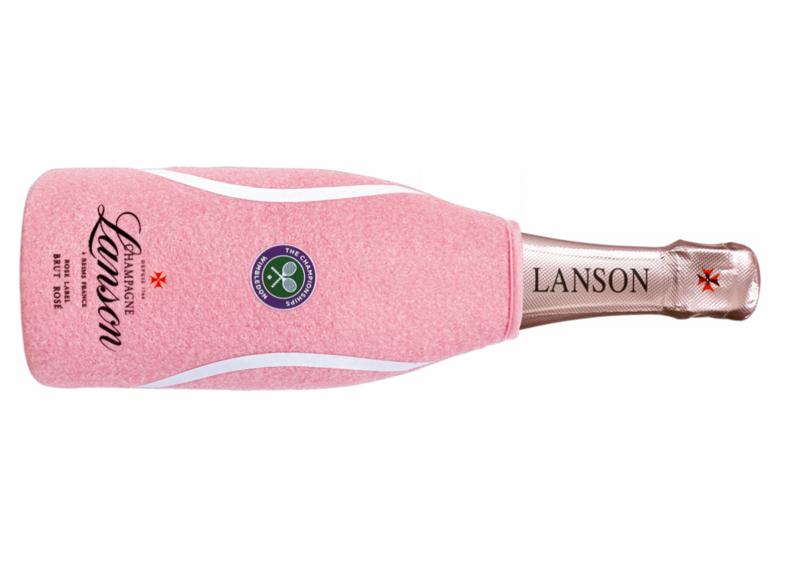 Get hired on as a ballgirl Victoria, you will be across that court like a cork from a Lanson’s bottle! This time of year is great – birthday and previously end of exams and then all the summer sporting events, especially Wimbledon in the sunshine watching the fabulous artist Roger Federer, with a glass of a recommended wine. Perfect! We were at Wimbledon last Tuesday and had to sample their Pimm’s. I managed to get more lemonade by asking for less ice. They always add too much obviously to save liquid!! I have loads of raspberries in the garden so it would be nice to have something different to wash them down ! Just last night I had to resort to “garage wine ” , the garage being a Spar and the wine Jacobs Creek Chardonnay bought with reluctance . But as you write it was really quite good. And what very healthy snacks you have. Me, I’m a mini poppadum and garlic yoghourt dip girl. That is more or less exactly where I am with it – a wine lurking in the local garage/Spar/corner shop that turns out actually to be a good wine. With forward planning I may be suggesting a Wine Society number at the same price. But the chard and the riesling are under-rated generally. Snacks: the Seabrook crinkle cut salt & vinegar didn’t match the spots in quite the same way. OK, then I’ll do it, revisit an old friend fallen out of favour. But only because you have never, ever let me down on a recommendation and I can’t say that for many winos! Riesling. Or chardonnay. Stick to those. They’ve taken the oaking of the chardie down over the last few years. It’s not as twangy and citrus as the new-wave Aussie wines but it’s more restrained and streamlined than it was. Great article Victoria 🙂 I’ve always been a fan of Jacob’s Creek! Fantastic! Count me in please! Can you ask these winemakers why the alcohol content has to be so high. When I first started buying Jacobs Creek we were looking at 11-12.5 ABV now it has gone to 13.0-14.5 ABV, Global warming? Hopefully they fall within your preferred limits. Good tip. Is it a dry reisling? 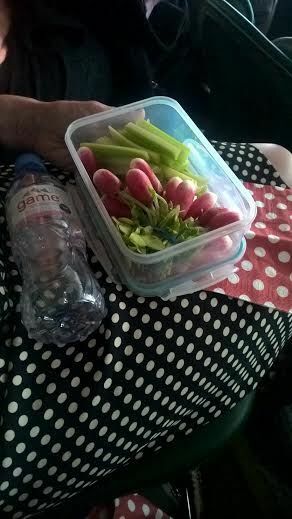 Lunchbox contents look familiar except radishes in mine have holes where the grubs got first bite. The pleasures of growing our own! Looking forward to trying out ‘summer drinks’ with friends this week….